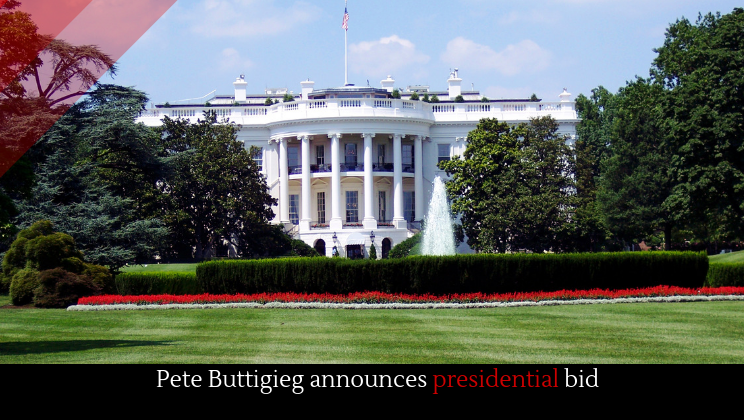 Pete Buttigieg, the 37-year-old mayor of South Bend, Indiana has officially announced that he is running for the office president, after a month-long rise to national political stardom. Bttigieg, if elected, would not only be the youngest candidate ever to win the election but also the first openly gay one. Although young, Buttigieg boasts a number of achievements. He was a Rhodes scholar, served in the war in Afghanistan, and in his time as mayor of South Bend he helped to revitalize the struggling city. Buttigieg rose to fame after a series of television appearances in which he wowed audiences with answers to difficult questions. He also recently made the news by attacking Mike Pence for his stance on homosexuality. Realistically speaking, Buttigieg likely has little chance of winning the election given his age, his sexuality, and the extreme partisanship surrounding the LGBTQ issue. But, as the New York Times has pointed out, those who throw their hats into the presidential ring may not win the Oval Office but may wind up with a substantial runner-up prize. Not only are there political positions to consider, but there are also book deals, television appearances, and speeches. So whether Buttigieg wins or loses, this likely will not be the last we hear of him.